The National Association of Nigerian Students ( NANS ), has congratulated the new Acting Inspector-General of Police, Abubakar Mohammed, on his appointment by President Muhammadu Buhari. Mr Adeyemi Amoo, NANS’ Public Relations Officer, in a statement issued on Tuesday in Abuja, urged the acting I-G, to embark of general restructuring of the police. He said that Nigerians at this period of elections, are counting on police officers not to compromise security at the polling centres. He said, “NANS equally commend President Muhammadu Buhari for respecting the voice and yearnings of Nigerians, against possible tenure elongation of former I-G, Idris Abubakar. The president’s action is a demonstration that he remains cautious of his integrity. Amoo further assured Nigerians that the students’ body would continue to keep its monitoring eyes on the activities of relevant agencies ahead of the general elections. 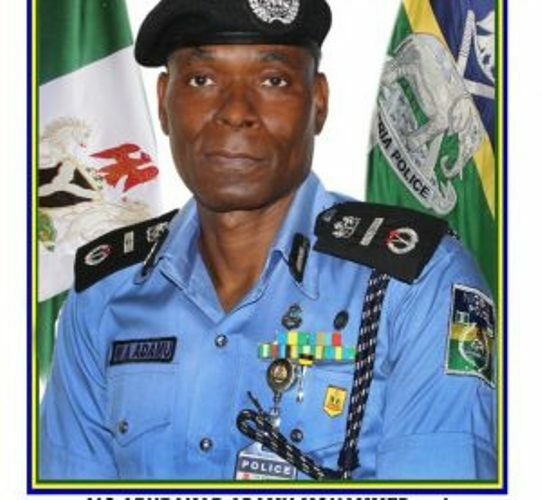 The News Agency of Nigeria (NAN), reports that Mohammed, who served as the Commissioner of Police in Enugu State and currently the Assistant Inspector-General of Police, Zone Five, was born on Nov. 9, 1961. He enlisted in the police in 1986 and has a Bachelor Degree in Geography.